Click Strong Start Year at a Glance for the latest James Hill StrongStart calendar. We are open from 1-4pm each school day. What is StrongStart? StrongStart is a complimentary early learning drop in program for children birth to 5 years of age. Parents and/or caregivers attend this program with their children. The StrongStart facilitator, is a qualified early childhood educator that provides a rich play based learning environment full of activities. 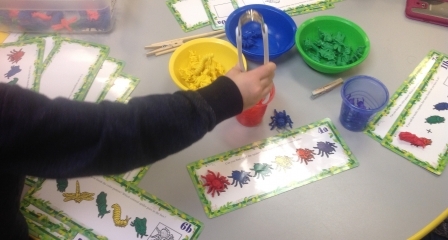 Activities provided will promote opportunities where children can make new friends, explore new activities and learn skills that will assist them in the preparation and successful transition to kindergarten. Families are encouraged to PLAY. Please check out the Facebook Page “James Hill Elementary StrongStart”. To register, simply bring a copy of your child’s birth certificate and you can register in class. Please feel free to drop in and join Facilitator Sam. The classroom is located on the east side of the school next door to Nurturing Hearts Preschool. Families please enter the program through the exterior door located under the covered area. StrongStart BC programs provide rich learning environments designed for early learning development – language, physical, cognitive, social and emotional. Qualified early childhood educators lead learning activities where children find opportunities to make friends and interact with others of similar ages.